Create the Perfect New Year’s Eve Party! It might be hard to believe that 2017 is almost over, but with 47 days left until December 31st, 2018 will be here before you know it. If you’re planning to host a New Year’s Eve (NYE) party at your house, or you’re in charge of planning your company’s NYE bash, then Lumen Lighting in Orem is here to help. With our party lighting services, you can create the perfect atmosphere for your gathering! When thinking about your NYE party lighting, it’s important to think about what the venue will be. Are you hosting at your house, or are you renting an event space so that there’s enough space for everyone and their plus-ones? You might want to have a small, intimate gathering with just a few friends and family, or you may be planning an enormous bash where everyone in town is invited. Once you have a venue, we can begin planning your lighting design. What Lighting Will You Need? Once you have a venue and you know who’s invited, it’s time to plan the layout and design of the space. Will there will be a bar that needs lighting? How many tables and chairs will there be, and how will they be spread around the room? Having a floorplan can help you design and set up the lighting so that the spaces that need illumination have them. Obviously, you want to create a unique ambiance, and we’ll make sure you have the fixtures to do so. 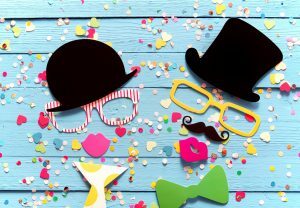 New Year’s Eve can be a glamorous occasion for many, and if people are dressing up in their finest formal wear, you want your party to reflect that level of class. We have drapery, chandeliers, and much more that will provide the classy touch that you want your party to have. Perhaps you’re having a themed NYE party where people are transported back to New York in the 1920s, and we can design the lighting that will match your ideas. You want people to remember your party, at least until the next New Year’s Eve rolls around, and one of the best ways to do that is with a spot to take photos. That might be an archway or a designated spot in the venue, and we’ll make sure the lighting is perfect for photos. Whether you’re hiring a professional or you’re setting up a selfie booth, it’s important to have the best lighting for people’s snapshots. We’ll gladly discuss this option, should it be something you want to pursue. At Lumen Lighting, we love helping people design the perfect lighting for their parties. 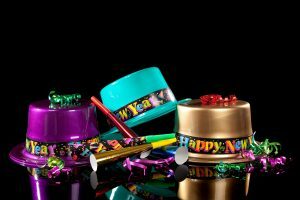 If you’re in Northern Utah and you’re planning a New Year’s Eve party this year, contact us today. December 31st will be here before you know it, and we know you want your party to be the event of both this year and the new year! You can call us at (801) 683-2100, or use the form below to contact a member of our team. We look forward to hearing from you!